Apple’s legal team remains busier than ever as they continue to fend off what they deem patent infringements from rival smartphone and tablet manufacturers across the globe. This time Cupertino has put a stop to Samsung releasing their Galaxy Tab 10.1 in Australia pending resolution of a legal dispute. As reported by Bloomberg, Apple claims that the Galaxy Tab 10.1 violates no less than 10 patents and is too similar to the iPad. Specific patent claims include the “look and feel” and touchscreen technology. Samsung claims that the Australian model of their flagship tablet is different than the US version and has even agreed to send three samples to Apple’s legal team for evaluation at least seven days before a planned release. The company had been announcing the tablet’s imminent arrival since July 20. Samsung has agreed to postpone sales of the Tab 10.1 until a resolution can be reached or they gain court approval. 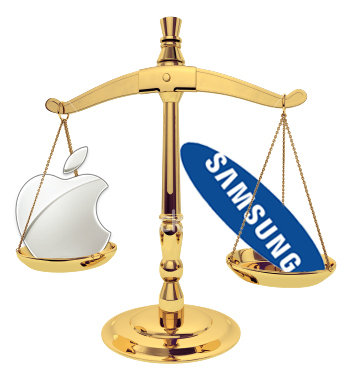 Should Samsung win, Apple would be responsible for paying an unspecified amount of damages. This is just the latest development in the Apple vs. Samsung legal saga that has been unfolding for several months in multiple countries. Earlier this year Apple sued Samsung in California over Galaxy phones and tablets which prompted a countersuit by Samsung less than a week later alleging patent infringement on their smartphone technologies. Federal Court Justice Annabelle Bennett has scheduled a follow-up hearing for August 29. If no agreement can be reached by then, a trial date will be set.